The Fullerton Arboretum is presenting its annual Victorian Holiday Celebration on December 1-2, 2012. Audiences can expect to find a variety of activities to satisfy everyone’s interests, all in the spirit of the holidays. Brilliant lights will illuminate the scenery of the arboretum, and carolers singing classic holiday tunes will sound through the trees for this Victorian weekend. Father Christmas will join the celebration to greet the attendants and take photos. The Heritage House, built in 1894 as the home and office of Fullerton’s pioneer physician, will transform into a traditional Victorian home of a family preparing for a Christmas celebration of their own. 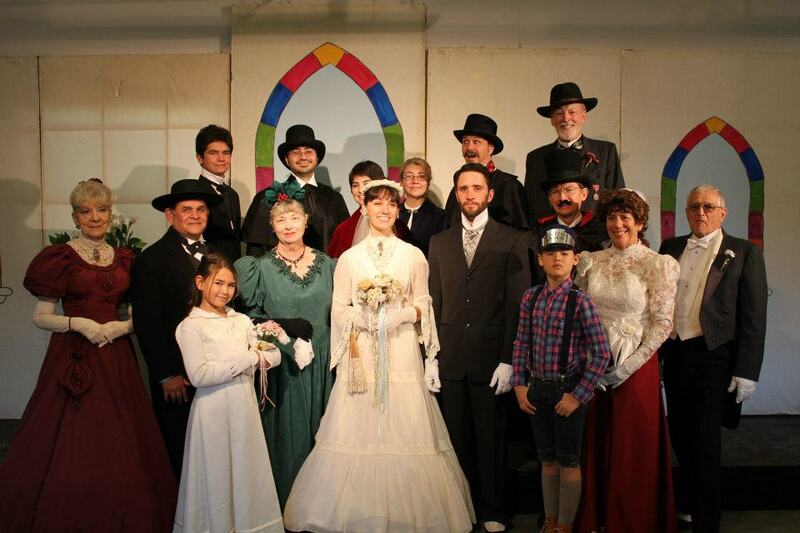 The Heritage House Players will bring families back to the 19th century in a drama for the whole family. The most cherished part of the Victorian Holiday Celebration will follow, the renowned Grand March. The Heritage House Players will perform the traditional dance, and guests are welcome to join in the fun. “Every time we visit, it’s a new surprise,” a previous event attendee said of the Fullerton Arboretum. This family friendly event will be sure to provide an enjoyable weekend filled with Christmas spirit, celebrating the beloved holiday tradition of the Fullerton Arboretum. The Victorian Holiday Celebration will feature drama, games, readings and music for all ages with reservations on the half hour beginning at 5:00pm. What would be more perfect to begin your holiday evening than hot cider for a cozy Christmas celebration? The Fullerton Arboretum will provide light refreshments for families throughout the event. Reservations are available online, and are to be pre-paid on the “Events” tab at www.fullertonarboretum.org, or by telephone at (657) 278-4010. Tickets are $15 for adults and children under the age of 5 are free.